We are leading manufacturer and exporter of Sewing Machines, Stitching Machines, Chain Stitching & Sewing Machines and many more. These products offered by us to our clients, have a longer life and highly commendable functionality. 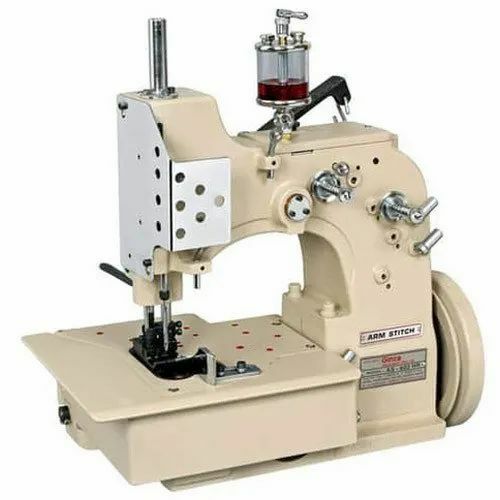 We are counted amongst as the foremost Manufacturers and Exporter of a premium quality range of Sewing Machines, Stitching Machines, Chain Stitching & Sewing Machines and many more. These machines are designed and manufactured using high quality components and advanced technology as per the set industry standards. The offered machines are highly appreciated by our clients for features like durable finish standards, longer service life, excellent performance and trouble free functionality. Our valuable clients can avail these machines from us in different technical specifications as per their specific needs.